Nominations for all UCET and ISTE awards close on January 18, 2019. All award winners will be announced during Day 1 at the opening session of the UCET Conference. UCET Outstanding Teacher of the Year – This award recognizes and honors a teacher who has demonstrated outstanding achievement and leadership in implementing technology to improve education. (PK-12 classroom teacher). UCET Outstanding Leader of the Year – This award recognizes and honors a leader who has demonstrated outstanding achievement and leadership in implementing technology to improve education. Nominees can be a principal, superintendent, school or district technology staff, regional technology trainer, etc. The one stipulation is that the nominee is not a PK-12 classroom teacher. They may have a teaching certificate, however, their current position is not as a classroom teacher. UCET Outstanding Young Educator of the Year – This award will be presented to an outstanding young educator (under the age of 35 on July 15, 2018) who demonstrates vision, innovation, action, and transformation using technology to improve teaching and learning. Making IT Happen Award – Making IT Happen is an internationally recognized awards program administered by the International Society for Technology in Education (ISTE). This program honors educational technology educators and leaders for their commitment and innovation. ISTE sponsors the award, the jacket, and a press release about the award recipient. UCET sponsors a $500 cash award for the Making IT Happen recipient. Read more about this award here: http://www.iste.org/lead/awards/making-it-happen-award. 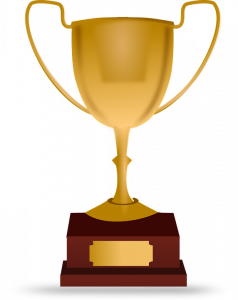 I can help you with questions about awards.